O'Connor, who is in the Walsall dugout following last weekend's sacking of former boss Dean Keates, and admitted that he was embarrassed by his team's performance as they failed to heed any of his pre-match words as they fell to a sixth straight defeat. 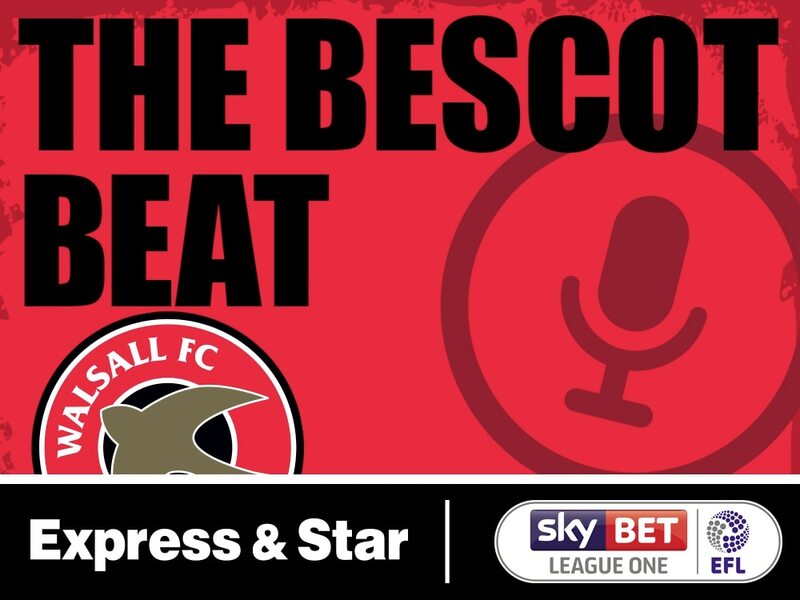 The Bescot Beat: Episode 17 - The Last Throw of the Dice? On the seventeenth episode of the pod, Nathan Judah is joined by Joseph Masi as they discuss all the latest Walsall news on and off the pitch. On this edition of the pod the trio bids farewell to Dean Keates, assesses the field of potential replacements and apportions blame because that's what the listeners asked for. The match, which saw goals from John Marquis, Mallik Wilks, and Danny Andrew help Rovers to a 3-1 victory, means the Saddlers suffered their fourth defeat in a row, adding to their recent woes and allowing several of their relegation rivals to close the gap. 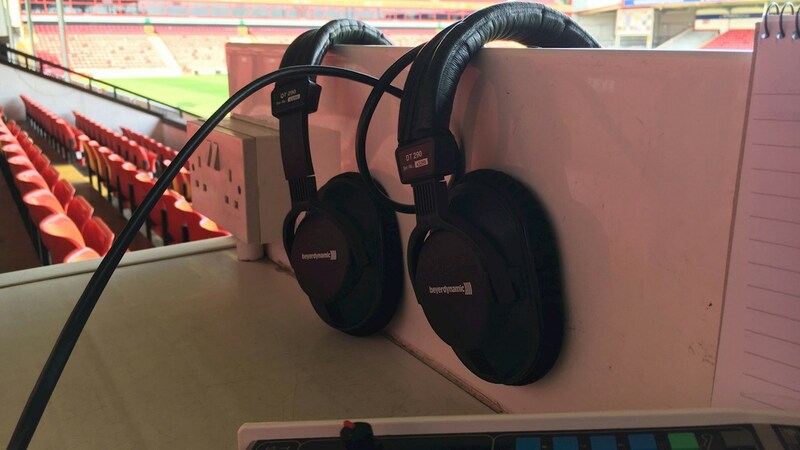 If you're not visiting the Keepmoat Stadium this afternoon you can listen to the match via BBC WM's DAB service across the Black Country as Tom Marlow and Daniel Briggs bring you kick-by-kick coverage as the Saddlers look to return to winning ways. Goals from Lee Cattermole and former Saddler Will Grigg were enough to cancel out Josh Gordon's fourth-minute opener and see the Black Cats close the gap to their promotion rivals. Keates, who watched as Jon Guthrie bagged two second-half goals to take his side close to stealing a point from the travelling promotion chasing Pompey, praised the Saddlers for their work-rate but admitted that they ultimately fell to defeat due to individual errors. Keates, who saw goals from Morgan Ferrier and Dan Scarr secure his side three much-needed points, shared his delight as his side earned their second win in three league games to move themselves to sixteenth in the table. The match, which saw the Saddlers secure their first win in six league games, was a hard-fought affair with both teams doing all they could to get the win as the opportunities to move either away from or out of the dropzone continue to shorten. Keates, who watched as his side conceded a goal in each half to suffer their fourth defeat in five league games, agreed that the result was one of the more disappointing of his time back at the club. The Saddlers failed to build upon Saturday's victory over Gillingham as goals from Ryan Edwards and Niall Canavan saw the Pilgrims ease to victory, despite Andy Cook bagging his sixteenth goal of the season. An Andy Cook hat-trick - his first of the season - was enough to see the struggling Saddlers return to winning ways, giving Keates plenty of reasons to be cheerful heading into Tuesday's clash with Plymouth Argyle. The gaffer, who has seen his side struggle as of late, insisted that his team controlled portions of the match, and have continue to work on cutting out the mistakes of they are to return to winning ways sooner rather than later. Keates, who saw his side suffer their third defeat in five league games, admitted that he was disappointed as his side conceded two goals during the opening nine minutes allowing the Addicks to control much of the first-half. Keates, who watched as midfielder Liam Kinsella grabbed the only goal of the game to send the the Saddlers through to the Third Round of the competition, spoke of his delight as the Red weathered the storm and kept their heads before Kinsella sent his side through. Keates, who watched as his side slipped to a 21 defeat with Kieron Morris bagging the Saddlers' only goal, admitted that he was disappointed as his side exited the competition. Keates, who had hoped to take his side through to the Third Round of the competition for the first-time in many years, was proud of his team as they bounced back from conceding an early goal to take the match to a replay. Keates, who watched as his side let slip a two-goal lead to draw with the Black Cats, admitted that he was disappointed as his side failed to capitalise upon their lead, somewhat naively allowing the visitors, who had been reduced to ten men, to take a point back to the Stadium of Light. Keates, who saw his side held to a goalless draw by the Trawlermen, spoke of his disappointment as the Saddlers failed to take any of the openings they created, especially during a dominant first-half.